December is always an exciting month as we are definitely a family who loves Christmas and all its magic, however there is another reason we celebrate the final month of the year and that is our little lady's birthday. This time she turned five years old, which seems so huge to me as it doesn't feel like that time since she was that tiny baby in my arms. 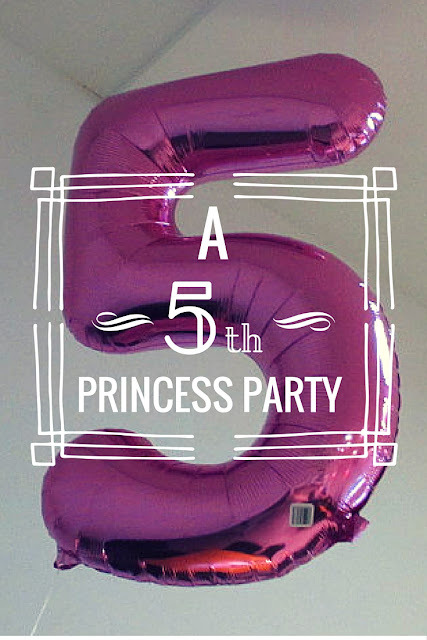 This year Holly decided she wanted a Princess party (after skipping through a Dora party, Blaze party and every-Disney-character-in-one party) so I'd been planning for quite some time. Myself and my sister always make the childrens' cakes - it is something I said I always wanted to do as my mum always made ours as children and to me it makes it feel more personal if I do. This year I opted for what looked like a slightly easier option of a cupcake dress cake, and went for Belle as that is who Holly had decided to dress as for the party. For once it actually worked - my sister baked the cupcakes the night before (I burn air!) and after a few practice goes with the icing pipe I iced my way through the full dress. I was really pleased with the result! We decided to hire a room in the local cricket club for the big day - as Holly has only been in school three months I thought she'd want to invite quite a few friends. In the end we had 20 children, which included four sets of twins! After much Pinterest-ing I pulled together a few ideas for the party, one of which included a dressing-up table full of goodies for the children to play dress up at. However as I needed at least twenty of everything I figured it would be cheaper to make the bracelets and necklaces myself, which led to me stringing beads onto elastic wire for two weeks! As well as these I bought tiaras and crowns, hair clips, hairbrushes, gem stickers, tattoos, sunglasses and then bought some little cars and farm animals for the boys who were coming. It was a really successful part of the party and kept the girls in particular occupied for quite some time. We did the usual party games - pass the parcel and musical statues. It was definitely interesting having twenty children running around all over the place, trying to organise them! 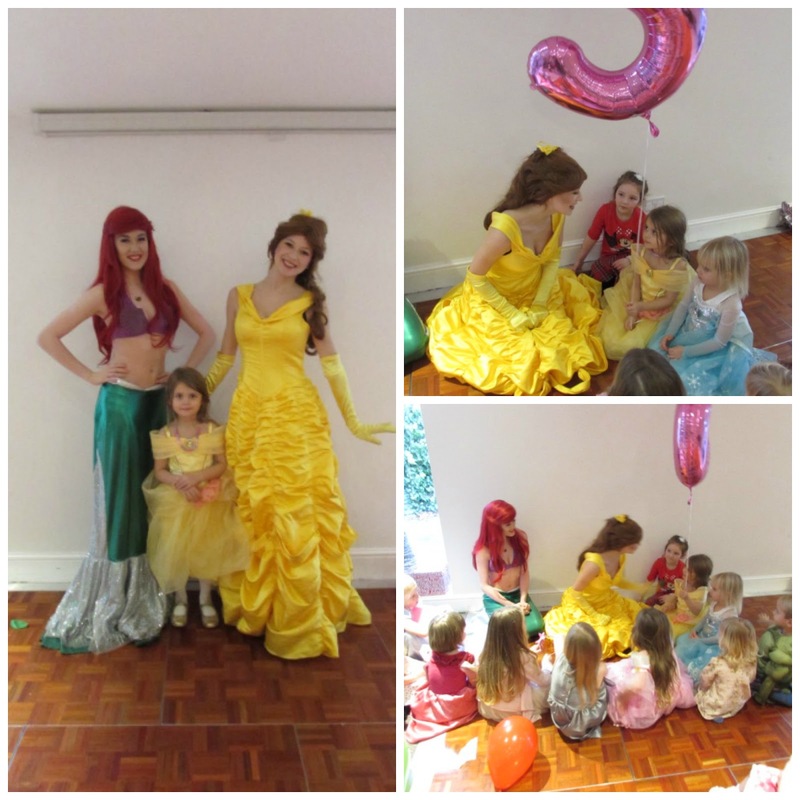 We also had two princesses make a special appearance. Holly told me later this was her favourite part of the party and all the girls were mesmerised as Ariel and Belle sang for them and posed for photos. After lots of dancing and opening of presents our little lady returned home, wiped out from all the excitement, and I wasn't far behind having to entertain twenty children for three hours! It was great fun for the kids and lovely for Holly to have a larger party, but I think I'll stick to soft play next time!